After a jam-packed 11 days in New York City, I'm finally back home in Southern California writing this blog post. At first I was a bit conflicted on how I should start off this post ... Now that I graduated from college, I no longer have a "summer break" or "summer vacation." But then I realized, summer is a season, not an event. And during the summer, festivals and fairs make their way through the cities - bringing excitement, entertainment, and energy to people of all ages. 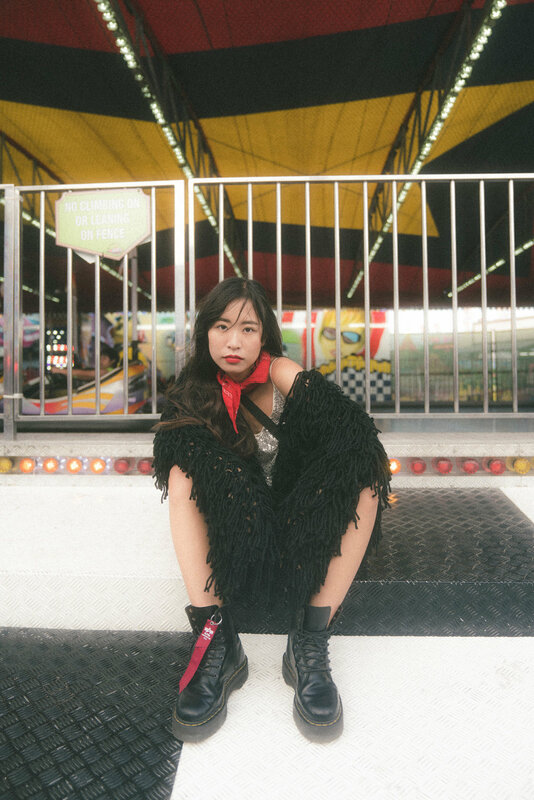 Before leaving to NYC, I dragged my friend Kenny to the OC Fair to shoot a festival lookbook with PrettyLittleThing. For those of you who don't know what the OC Fair is, it is basically the largest fair on the West Coast of the United States of America. When you first walk on to the fairgrounds, you're immediately hit with the smells of turkey legs and fried snacks, the chattering of people, the screams of thrill-seekers, and the flashing of lights and flags! It's an Orange County summer tradition, and definitely worthwhile! a playful tassel romper that'll make you want to dance all day and shine all night. This dress seriously changed my life. I'm absolutely obsessed with the way the layers of tassels move when I walk and dance. The dress itself motivates me to dance and move around whenever I wear it - regardless if there's music playing. It's definitely a head turner! When I was a young girl I used to steal my mom's white satin dress and pretend I was an angel. I wore it so much it lost its feathers and ended up with quite a few stains. 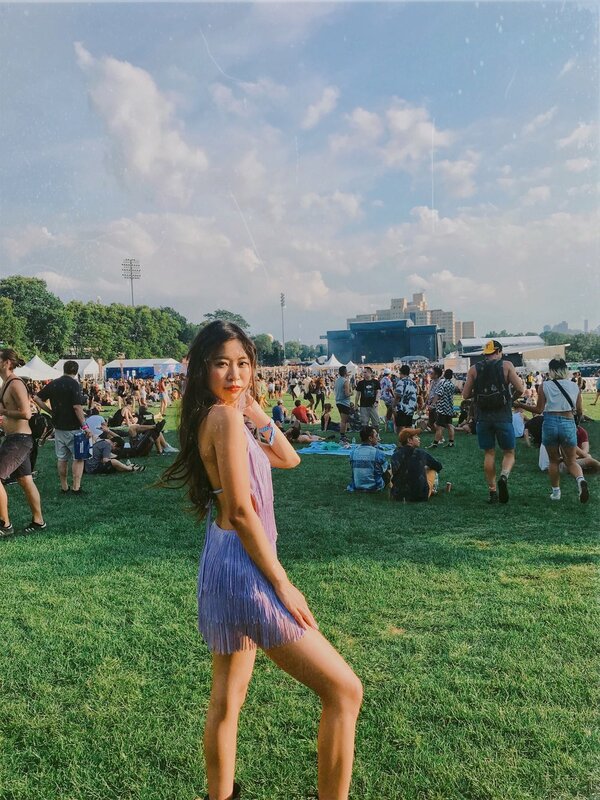 I guess that memory helped make my decision to choose this dress to be part of my festival lookbook. I love the softness of powder pink, but by pairing the dress with a rhinestone choker and black combat boots I made the look more casual yet functional. The last look is for all you cozy, lazy girls out there. It's a really simple look if you think about it - shorts, tank top, coat, boots, and a bandana. Functional, stylish, but also comfortable. Sometimes, depending on where you're at in the world, night time will still be chilly during the summer. When the breeze hits, you'll definitely be grateful for this shaggy knit coat. The bandana also acts as a mask for when the dust and sand hits and you want to cover your face! Bonus shots from when I went to Panorama in New York City!